At FIWARE Multi-Site Event, the prizes of Excellence and Smart Society Challenges have been given, two categories that witnessed the presentation of 9 teams in Gran Canaria and 18 in Seville. The jury, formed by FIWARE members, sector representatives and the accelerators, has valued the work of teams, which have received training and have collaborated with FIWARE architects to improve their prototypes during the whole week. The Irish project Fonesense and the Brazilian FI-Guardian have both won the Excellence Challenge. Cares, a Mexican project, has won the Smart Society. A total amount of 39 teams have reached the finals of both challenges, although only 27 attended the event. Five Spanish teams, one from Ireland, another from Germany, one Greek and another from Brazil arrived at Canarias. 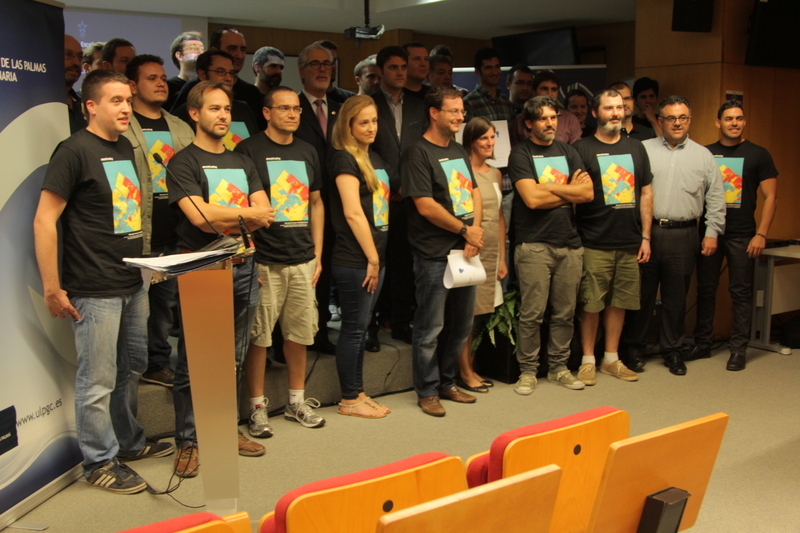 Some of them have already participated in different FIWARE Challenges, such as the Campus Party at Brazil. 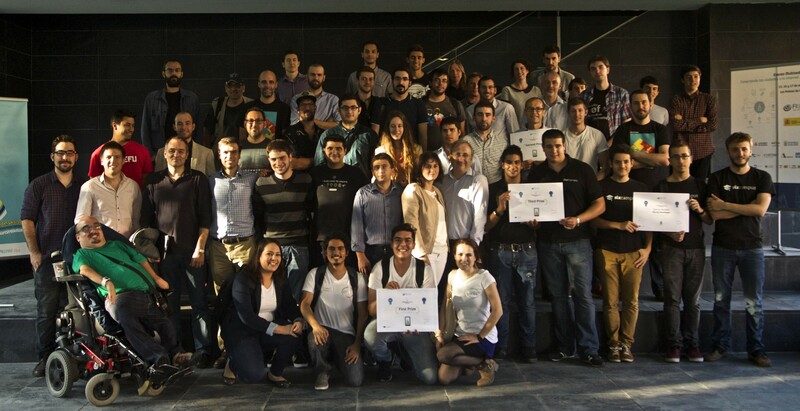 All of them were good enough to be awarded and met the requirements of the challenges, the first and most important one, using FIWARE technologies to develop their prototypes. It has been a week of excitement and hard work. In both sites, Seville and Canarias, working hand in hand with FIWARE architects has assured very high quality presentations. In the afternoon of Thursday 16th, the candidates of Las Palmas de Gran Canaria presented their projects and, the following day, the same happened in Seville. Although it was planned to have a winner for each award, the jury at Las Palmas of Gran Canaria has decided to declare null and void one of the awards, to give two first prizes FI-Guardian and Fonesense. “The quality was very high”, Fermín Galán explained, president of the jury in Gran Canaria. In Seville, the first prize has been for the Mexican project Cares. The category of Smart Society, whose prizes were given in Seville, awarded the development of the most innovative apps for societal purposes. Apps concerning education, health care or social inclusion, for instance. In this category, candidates could also be chosen for the Excellence Challenge. The list of finalists was elaborated at Campus Labs, but two of them (both Spanish), Kodefu and Where2Study, got their post at Hack 4 Good. The rest of the projects in the final, 12 of them were Spanish, were: Magicbox, Proyecto Stic, MyEco, EsAccesible App, FiGlass, HEALTHIOX: ITIOX, EruditFriend, Cares, OurSkin, BEING IN TOUCH: BiT, PajamaKids, Societal, ProHealth, WakeUp, Sixcampus, My people care, A_Outbarriers HackAcademy, HappyCities and RL-Education.